Dr. Partridge’s medical interests include general pediatrics, Down syndrome and emergency pediatrics. When not busy with her practice, Dr. Partridge enjoys playing with her two children, reading, baking and playing the piano. 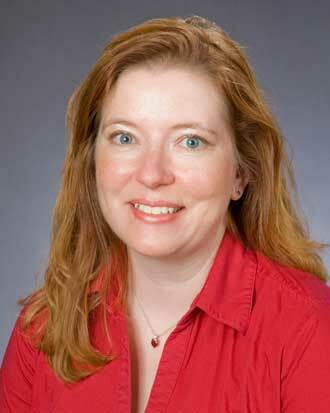 Dr. Partridge was named one of the nation's best pediatricians by Parents magazine. I can not say enough about Dr Partridge! My son broke his arm and we had a terrible experience at the urgent care. the splint they put on was to small and he was in pain the entire night. Dr Partridge saw him the next morning re splinted his arm and he immediately felt better. she then found room in her schedule at the end of the week to get him in for casting so he would have a hard cast and could participate in the physical activities of his field trip at school! we have recommended Dr Partridge to others and will continue to recommend her and this office in general. We are so pleased with Dr. P at each visit as well as anytime we´ve had to reach out to her via email. She is the best! *Dr. Rebecca Partridge is amazing! Dr. Partridge is THE BEST. Wouldn´t go to anyone else but *Dr. Partridge. Dr. Partridge and her MA were fantastic. fantastic! Dr P is 5 stars, better than I can even describe in this survey! We love *Dr. Partridge! She is kind, friendly & thorough. to our friends when they´re looking for a Dr. Dr. Partridge is great and we´ve been referring her to our friends when they´re looking for a pediatrician. she takes the time to answer our questions and not rush us like other doctors we´ve experienced. Dr. Partridge is the BEST doctor my child has ever had. I am so lucky to have found her and moved my son into her care. I feel like she is a breath of fresh air when we are with her. No other doctor could come close to providing the level of care that she does for my son. Thank you so much. Having had a very first experience with *Dr. Partridge. She exceeded our expectations and calmed all our fears for being 2nd time parents. Her love & passion for kids is amazing! We love her! Dr. P. is fabulous. Knowledgeable, thorough, & seems to genuinely delight in my kids. Love having Dr Partridge available in Seattle. She is carrying and attentive with our daughter and helps us ensure we understand what might be different and what´s not different as she grows. As always, we love Dr partridge and I trust her so much. She is experienced, caring, very understanding and very clear. It is such a comfort to have someone who has first hand experience with DS and ADHD. We LOVE HER!!!! We drive almost 90 mins. to see Dr. Partridge. There is nobody better suited to provide healthcare for my child than Dr. Partridge. I´ve already recommended her to a friend! She was great. Dr. Partridge always takes the time necessary to answer any questions and gets the answers from her patient. I am ALWAYS impressed with how well she communicates with her patients. Dr. Partridge was very kind and caring. I got a good sense of trust in her abilities. Dr. Partridge is the most amazing Down Syndrome expert - the ONLY one in the Northwest. We are even so grateful for her expertise ~ she saved my daughter´s life. We love Dr. Partridge and don´t mind travelling a fair distance to make sure our son gets to see her. We are so grateful for Dr. Partridge. Not only does she put our minds at ease by responding thoughtfully to all our concerns, but we truly believes she likes our son and cares about his progress. Dr. Partridge is really wonderful; she is personable and knowledgeable and talks to my daughter in easy to understand language. I have recommended Dr. Partridge to many of my friends and neighbors. She is a wonderful pediatrician. So pleased to have found Dr. Partridge! She is GREAT! Dr.Partridge is awesome. We love her as our pediatrician. Dr. Partridge and her staff are the absolute best! We are so luck to have this practice in the Down syndrome community. We love Dr. Partridge! We feel like she genuinely cares about Xavier which means so much to us! Dr. Partridge is everything we could ask for in a Pediatrician. We value her input and appreciate her kind manor and helpfulness. Excellence we love our Provider and will not hesitate to schedule at Issaquah location in the future. Best Pediatrician we have seen. We drive 90 minutes to have our child see Dr. Partridge. Dr. Partridge is the best!! Dr. Partridge is the best doctor we´ve ever had. Her knowledge, insight and kindness make such a difference in our daughter´s health and in how we feel about it. Dr. Partridge makes going through hard things easy. We are huge fans. We LOVE LOVE LOVE Dr. Partridge!!! We love Dr. Partridge...We yell everyone about her! I highly recommend Dr. Partridge to all my friends! I recommend Dr. Partridge to all my friends. She is so understanding and patient with me and my children. I love that you know she absolutely loves her job and taking care of my children. My child´s provider is kind, thoughtful & does not rush us through the appointment. She´s knowledgeable & never pressures us to have unwanted treatment. Great pediatrician! This is the first connection we´ve had with a pediatrician and it has made our lives so much easier. We now know who our children´s pediatrician is and if we ever need help or have a question we know who to turn to and have faith in them as our provider. Dr. Partridge is always so amazing! Love VM and Dr. Partridge! She´s an incredible asset to you. We have had to work with several doctors and nurses over the last ~20 years, and she is one of the best. She knows what being a doctor is: a healer, a listener, respectfully persistent in following up with forgetful teenagers and their parents. I will keep her as my kids´ ped as long as I can. we absolutely love Dr. Partridge! she´s the best! so caring and helpful. I was very impressed by Dr. Partridge. she was compassionate and kind. She didn´t make us feel rushed and focused on what OUR concerns were. Dr. Partridge has been amazing since the moment we met her and has always taken time with us to answer questions and get to know our child. We love her! WE LOVE DR. PARTRIDGE. I cannot say enough about her - always thorough, caring, and takes the time needed so everyone is comfortable. We absolutely love Dr. Partridge. She is always so caring, helpful and shows her concern for the well-being of our children. She is patient with my questions, answers things clearly and is kind. Always so friendly, helpful, and never in a rush.